After long years of promoting and supporting sports projects and activities in the Peoria area, Pete Vonachen took on a leadership role in late 1983 as owner of the Peoria Chiefs, Class A professional baseball team. He returned pro baseball to Peoria in a most successful way. Under his direction Meinen Baseball Field was completely modernized to create comfort for the fans. An electronic scoreboard was installed, and adequate parking was provided. He made fun at the ballpark a reality. In 1984, the first year the Peoria team was under the ownership of Vonachen, they finished second in their division and attracted 116,000 fans, a significant increase over the attendance of 49,000 for the prior year. Then in 1985 Pete changed affiliation from the Angels to the Chicago Cubs. Attendance soared to 165,000 which was third highest in the nation for pro baseball Class A teams. The 1985 Peoria Chiefs won their division, captured the playoff round, and then lost in the championship playoff series in the final game. Pete has received two high honors, one Executive of the Year in the MidWest Baseball League and the other The Sporting News Class A Pro Baseball Minor League Executive of the Year. 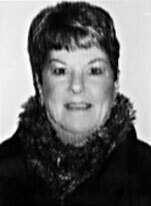 Vonachen served on the Peoria Park Board as a trustee for 6 1/2 years. He was a board member and president of the Peoria Pacers, CICL baseball team. He is on the Board of Directors of the Greater Peoria Sports Hall of Fame. This past year he received the Distinguished Alumnus Award from Bradley University. 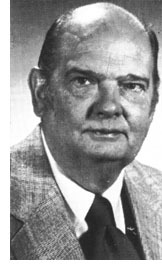 In 1979 Pete received the Peoria Ad Club's Neve Harms Meritorious Service to Sports Award.